Unique experiences and excellent value are often found off the beaten track. 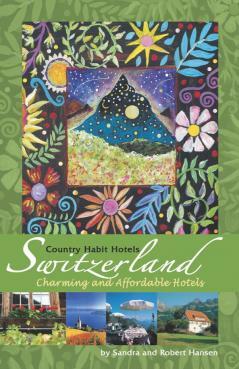 Let Country Habit Hotels take you into small hamlets, quiet villages and the serene countryside of Switzerland. This helpful guide introduces you to charming hotels, affordable inns and comfortable guesthouses - each offering tranquil evenings, peaceful settings and "Gemutlichkeit" (warm and comfortable friendliness).